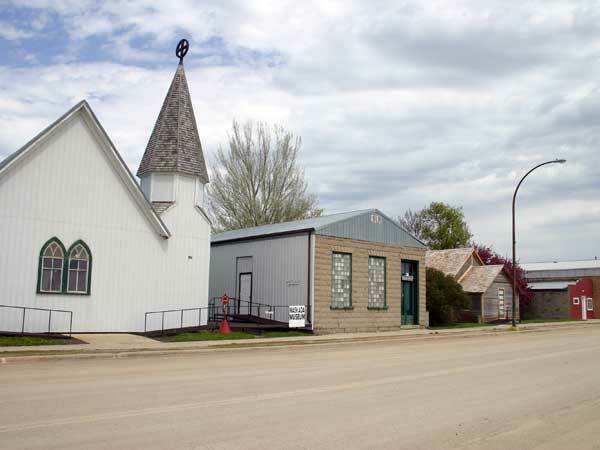 What became the Waskada Museum began in 1967 when the prairie village of Waskada, in what is now the Municipality of Brenda-Waskada, was about to celebrate its centennial anniversary. The community opened up a temporary museum display in an empty hardware store building as part of the celebrations. The first displays consisted of donated items from local citizens: mostly pictures, books and small household items. The “museum” was open for two weeks during the centennial festivities, and received over 1,000 signatures in the guest book. When the centennial fair was over, the items were returned to where they came from. 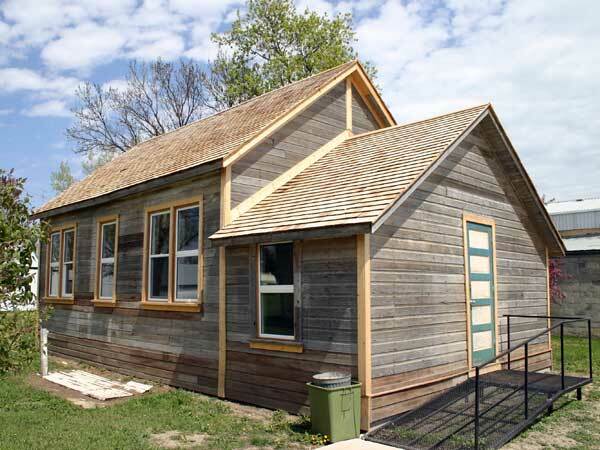 In 1970, the province of Manitoba was celebrating its centennial, and Waskada decided to open the temporary museum again for the occasion, though this time on a larger scale. When the items being displayed were to be returned after the event, it was discovered that many of the donors did not want them back. More artifacts were accumulated, and eventually the 1906 Union Bank Building (a unique building made of concrete blocks) was donated to house them. The museum ran out of space again in 1975 so the 1914 St. George’s Anglican Church was moved from two blocks away to be part of the museum’s collection and to house more artifacts. Additional buildings have been built and expanded over the years, including a refurbished blacksmith shop and an old coal shed. The total display area is currently 10,000 square feet (1,100 square meters) spread among five on-site buildings. Recently, the former Menota School building has been moved onto the museum’s property to house more artifacts. At present, artifacts in the museum’s collection include a silent movie projector, settlers’ tools and memorabilia, gramophones, a loom, an old country store display and a mounted whooping crane circa 1906. It has one of the best collections of thresher photos in Western Canada. Buildings around the museum house antique cars, trucks, firefighting engines and a working steam engine. The museum is open in July and August, Monday to Friday from 9:00 AM to 4:00 PM, and Saturday and Sunday 1:00 to 4:00 PM. It may be opened at other times by appointment. There is an admission charge of $4 per adult and $2 per student.